The coast road of Chernarus has a texture issue which causes any crossroads with the narrow tarmac roads to look bugged. The narrow tarmac road goes over the top of the main road, and too deep into it, and there is no smooth transition between the two surfaces. 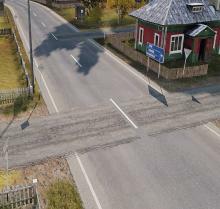 The problem seems to only affect the narrow tarmac road, as crossroads with all other types of roads (dirt road, wide tarmac road) look fine. 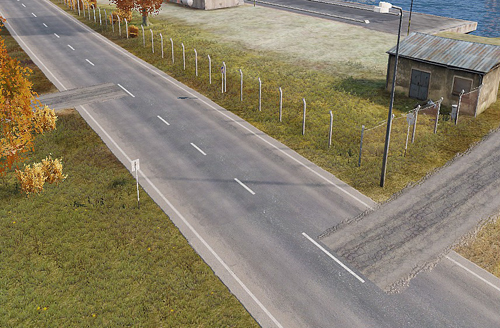 The coast roads of Bystrica and Summer Chernarus have this same bug. -Ben- set Branch to Release/Stable. -Ben- unchecked Reproducable without other mods?.